In 1945, a committee set up by Yugoslav communist leader Josip Broz Tito invented for the first time an alphabet for the new “Macedonian” language. The official documents introducing the new alphabet and language were written in Bulgarian. Introduction of the “Macedonian” language in communist Yugoslavia in 1945. The document is written in the Bulgarian alphabet. It reads: “The Macedonian Orthography proposed by the Orthography and Language Commission at the Ministry of People’s Education is accepted as an official orthography. The same will be printed in books as an edition of the Ministry of People’s Education”. Introduction of the “Macedonian” alphabet in communist Yugoslavia in 1945. The main document is written in the Bulgarian alphabet. Is this language Macedonian? In the absence of knowledge of Slavic, one unfamiliar with the Macedonist argument may rightly want to know how much this FYROMacedonian language resembles the language of the ancient Macedonians and how much it resembles Slavic. One simple way to test this without knowledge of Slavic is to take a FYROMacedonian document and use Google Translator to see how much of it can be understood if it is translated using the Bulgarian or Serbian Google translator, treating it in other words as either Bulgarian or Serbian text. I have randomly chosen an article I found on the internet called something like “When I was in the Coast I met Stalin”. The original text is appended at the end of this article. The Google translations using FYROMacedonian Translator, Bulgarian Translator and Serbian Translator are also shown at the end. Many parts remain untranslated by the Bulgarian and Serbian Google Translators but those that become translated agree well with the FYROMacedonian Translator. The Serbian Translator and Bulgarian Translator underperformed but between the two of them one can get a very good idea of what the article says. In fact some words that fail to become translated by the Bulgarian translator are translated by the Serbian one, so the problem must be partly the choice of Slavonic characters used and the choice between a Bulgarian or Serbian word. The Greek translation by Google failed completely. Google returned the FYROMacedonian text only. One may therefore ask, what is the link of the FYROMacedonians to the ancients? 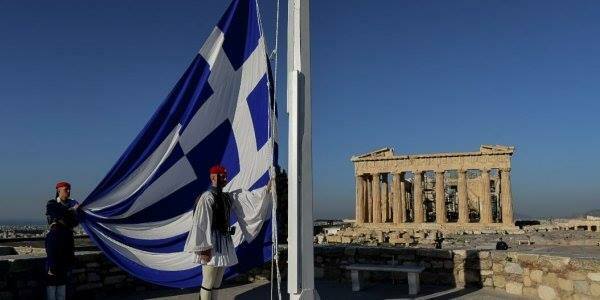 All we have attested from Macedonia in ancient times was in Greek. Until our own time historic Macedonia is being inhabited by Greeks. 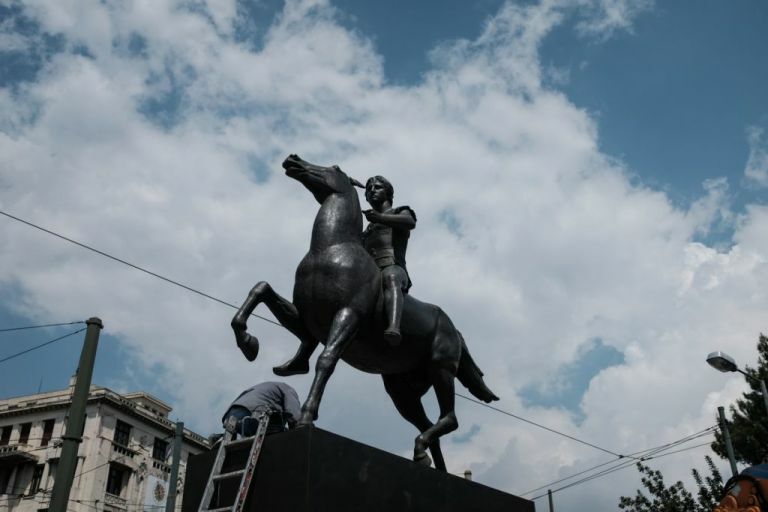 Why should the FYROMacedonian language be called Macedonian? Tito is dead. There are nations that at times have fostered extreme ideologies of superiority of race. There are individuals who may believe in flying saucers, proverbial red herrings and pink elephants. There is now and then someone who thinks he is Jesus. However, until this instance there have been no nations that attempted to reinvent themselves as an ancient and completely unrelated people. This is perhaps a first in human history. It is so strange, it had left for 18 years classical scholars speechless. In fact it is so strange, diplomats have almost no means to say “that´s crazy” in a diplomatic way. It is so incomprehensible that one ponders if a logical or diplomatic response to this claim may be appreciated at all. The way this goes, it will not be long before calling something Macedonian becomes a proverbial allusion to reaching way beyond one´s depth. Macedonism is already becoming a byword for the reinvention of “facts”. Speaking of a “Macedonian theory” may soon become an alternative to using the expression “living in a parallel universe”. Unfortunately for the poor Syrian, little does he know that the Falsedonian community supporting the cult-like macedonist ideology in FYROM and abroad has become desensitized to the disbelief of others. 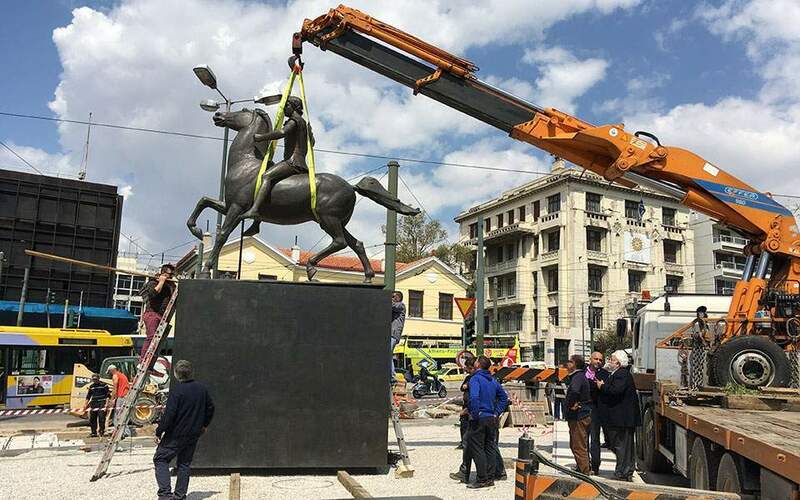 The so-called Antique Macedonians still march on regardless, no matter how strong are the words of dismay they hear. Presumably for decades they had been told to turn a deaf ear to evil capitalists from the west, to the “false prophets” of western imperialism, who harboured fascist beliefs and false ideologies. One must ask, how can an educational system based on propagandist ideology be destroyed without a rebellion against it? FYROM became an independent country by historical accident. 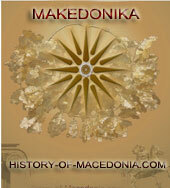 Before closing, let us remember who the Macedonians were. “King Alexander dedicated this temple to Athena Polias”. Macedon is a word found in Hesiod and in Homer (6-8th C BC). “And she conceived and bare to Zeus who delights in the thunderbolt two sons, Magnes and Macedon, rejoicing in horses, who dwell round about Pieria and Olympus”. Macedon was a Greek hero, the mythical progenitor of a Greek tribe who only left written records in Greek. At the time of Homer and Hesiod, the Slavs probably lived in the steppes of Russia. The Slavs did not appear in the Balkans until about the 6th C AD, 1300 years after Hesiod wrote about Macedon. It is obvious that the citizens of FYROM have many words in their Slavic language. Their country was once called South Serbia and their dialect Western Bulgarian. If neither of these are suitable today, it should really not be so difficult to find a way to describe their ethnic identity in words that are not Greek. Slavonic is historically, ethnically and geographically suitable. Why this insistence in reinventing history? PACO RABBANY: WHEN I WAS IN THE COAST I MET STALIN. Сеќавајќи се на таа средба, 70-годишниот Рабан, кој тогаш со мајка му престојувал во Москва, посочи дека Сталин му оставил силен впечаток и оти имал некаква магнетска привлечност. Мојата мајка беше еден од основачите на Комунистичката партија на Шпанија. Таа беше многу прагматична жена, голем реалист и силна личност”, истакна Рабан за весникот „Известија”. Рабан е роден во Баскија, Шпанија, но пораснал со Франција. Креаторот, чии модели од пластика, метал и хартија се изложени во музеи на современа уметност, смета дека модата денеска е во криза поради отсуство на идеи, но оти „има надеж за тоа што доаѓа од истокот”. I had 16 years ago when I was introduced to Joseph Stalin, said one of the leading fashion designers Paco Rabbany in Moscow where the Russian public for the first time and presented an exhibition of his drawings. Recalling that meeting, 70-year-old Rabbany, who then resided with his mother in Moscow, Stalin said that he left a strong impression and that he had a magnetic attraction. “My mother was one of the founders of the Communist Party of Spain. It was a very pragmatic woman, a realist and a strong personality, “said Rabbany newspaper Izvestija. Rabbany was born in the Basque Country, Spain, but grew up in France. Creator, whose models of plastic, metal and paper are exposed in museums of modern art, believes that fashion today is in crisis due to lack of ideas, but that “there is hope for what comes from the east”. 2. Bulgarian Google Translator result. Сеќавајќи to taa sredba, 70-godishniot Rabanne, кој gown pm мајка his престојувал st Moscow, Stalin said his deck remains strong and BTI had vpechatok nekakva magnetska privlechnost. “Eden was Мојата мајка sh osnovachite of Komunistichkata партија of Шпанија. Таа беше многу прагматична жена, голем реалист и силна личност”, истакна Рабан за весникот „Известија”. Taa was многу pragmatic woman, realistic and strong personality, istakna Rabanne for vesnikot “Известија. Raban was born st Баскија, Шпанија but grown Франција pm. Kreatorot, whose models sh plastic, metal and exposed to хартија st museums sovremena umetnost, trash fashion deck is deneska st crisis due otsustvo ideas, “but BTI has hope for SG & A sh што доаѓа istokot”. 3. Serbian Google Translator result. Seḱavajḱi at that meeting, 70-godišniot Raban, which then, with his mother stayed in Moscow, Stalin posoči that he ostavil strong vpečatok went and had a some kind of magnetic privlečnost. “My mother was one of the founder of Komunističkata parties in Spain. It was very pragmatic woman, great realists and strong personality, “Raban pointed to newspaper” Izvestia “. Raban was born in the Basque Country, Spain, no porasnal with France. Kreatorot, CII models of plastic, metal and paper are exposed in museums of modern art, considers that fashion today is in crisis due to the absence of ideas, no go “for it has nadež which doaǵa of istokot”. 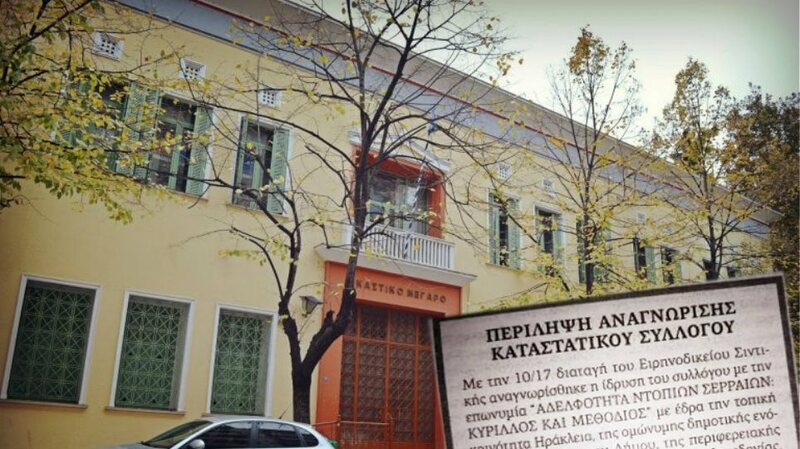 Οι Δηλώσεις που σόκαραν την FYROM! !